Launched on Kickstarter is an eco-friendly lunch box, which can be pocketed. It is more than just a lunch box. 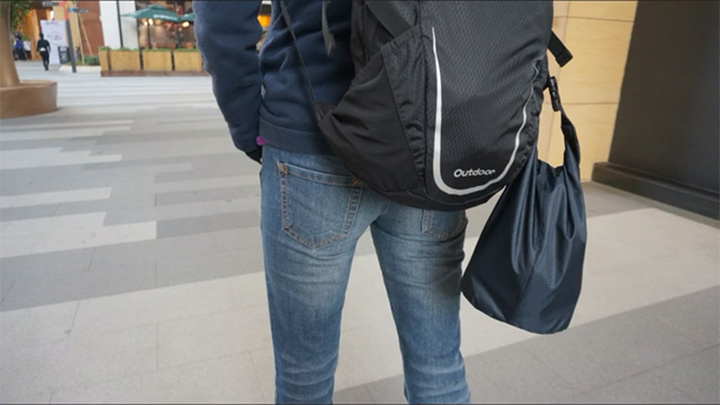 You can use it to carry any kind of food from wet to dry foods in a go. Made from 100% food grade BPA free thermoplastic rubber TPU inner lining. 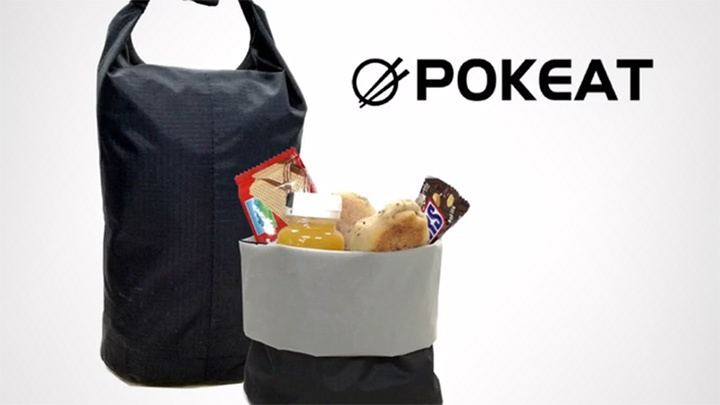 The Pokeat claims to be waterproof, leak-proof, oil-resistant, food safe, toxin-free and can hold cold or hot food up to a temperature of 120 degrees C.
It is also highly adjustable being able to carry food just as small as a sandwich to carrying all your groceries in its 3-liter full capacity. It also has utensil pocket at the bottom of the bag with free chopsticks and spoon.